Requirements: Background in marketing, textiles or business would be preferable. Must be at least 20 years of age, and must have a basic level of English. Joining the Business Project in Vietnam is a chance for you to gain practical experience in the field of marketing and participate in the local craft industry. Based in the tranquil village of Mai Chau in Hoa Binh province, you can become directly involved in the local community and culture as part of a gap year, volunteer vacation, or career break. The goal of the project is to support the disadvantaged and disabled artisans in Hoa Binh and help them turn their skills of traditional weaving, tailoring, and embroidering into a sustainable income by selling products like embroidered bags, wall hangings, scarves, and pillow covers. 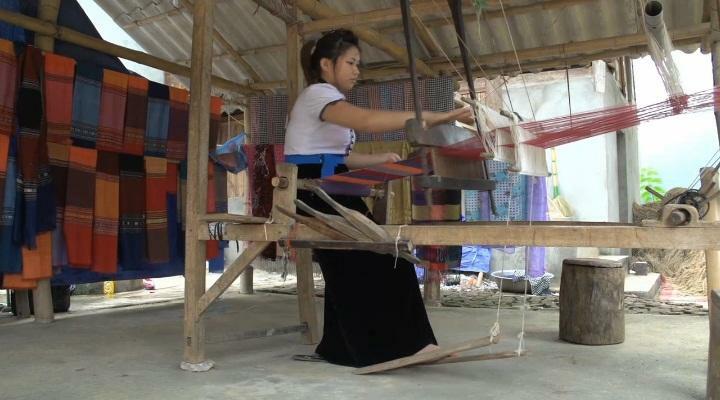 These artisans are the only ones in the Mai Chau area that provide hand-made, authentic woven and embroidered products. Giving artisans advice on how to market their products both locally and internationally. Giving artisans advice on how to develop their presence on social media, and how to improve their websites. Helping artisans improve the homestays they offer for tourists, and talking to the artisans about how they can appeal to tourists and meet their needs. Helping set up and arrange a retail stall, established to sell the products to visitors. This is a community project at an early stage of development, and is mainly focused on improving the store and its online presence. The project is not currently structured to cater for business volunteers who want to focus on more complex issues such as finance and expansion. Created a video to promote the artisans and their products. Improved the structure of the tours offered for tourists and advertise them on the website and in the retail store. Created a Facebook account for the business. Designed new signs for the retail store. Set up a plan for the homestay and discussed ways to make it more attractive to tourists. You have the option of teaching English to local artisans and entrepreneurs in the evenings as well. Additionally, if you are interested in traditional hand-made products and are on the project for several weeks, you may have the opportunity to learn the weaving and embroidery skills from the artisans and help produce simple items yourself. Mai Chau is home to the Thai people, one of 54 ethnic minorities in Vietnam and not to be confused with Thai people from Thailand. Traditional village life is communal and friendly. Family homes are open to their neighbours, and the villagers live and work together. The villagers live in stilt houses with basic amenities. The village’s location makes it one of many tourist attractions close to Hanoi. Most people visit the village on the weekends, so lots of the traditional activities such as fireworks, dancing with bamboo, and traditional music shows take place on the weekends. During your time on this project, you will live with a local host family in the village. The mother of the host family is also a director of the project and will ensure that you soon feel at home and integrated into community life. You will live in the local, traditional manner, eating what the family eats and be immersed in their daily lives. In your free time you can learn how to cook traditional foods, study the local language, or explore some of the nearby sites, such as the natural stream, a cave in the middle of a mountain, or bicycle around the area to enjoy the views of huge green rice fields and the majestic mountains. The project is based about a 4 hour drive from the busy capital Hanoi. You should have a mature attitude and be able to work independently, as you are likely to only have contact with other volunteers over the weekend, rather than during the week. The Business Project in Vietnam is available for less than a month if you don't have time to join us for a month or more. This project has been selected by our local colleagues as being suitable for shorter durations for both the host community and the volunteer. Although you will gain valuable cultural insight and work intensely within the local community please be aware that you may not be able to make the same impact as someone participating for a longer period. The structure of this project differs greatly from the other Business Projects we offer. You will not work in a traditional business environment and will not have a typical 9-5 working day. Working hours vary depending on what you will do on a particular day. The tasks you get involved with are always different and depend on the needs of the placement. To get the most out of this project you will have to function independently and proactively.